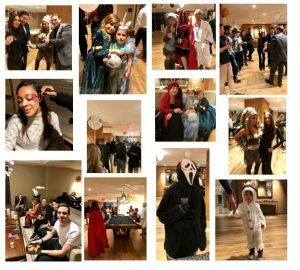 We had a spooktacular time with Riverbank Residents celebrating a night filled with magic, thanks to our fabulous magician, Chris Anthony. Residents also enjoyed some friendly fortune telling by Sherrie Lynne and Halloween makeup by Glamsquad. In attendance, we had everything from pretty princesses and Little Red Riding Hood to Ghostface and the Big Bad Wolf. No matter the costume, everyone enjoyed the food from 123 Burger Shot Beer and the mysterious Witch’s Brew!